What’s new in capella 8? 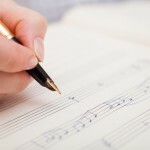 capella covers editing, arranging and printing of scores to create publication quality results. In addition you can import and export MusicXML, so if your publisher or friends work with other music software you can still exchange fully formatted scores. You can also save scores as MP3 files playable on PCs and phones. Click here for a detailed description. capella-start is the cut-down version of the full capella. You can have up to 4 staves per line of music and up to 2 voices per stave. capella-scan rapid editing of printed and PDF sheet music. Converts sheet music and PDF scores into capella, MusicXML and MIDI. In a few seconds per page it is the quickest way to import sheet music into any MusicXML compatible software. Click here for a detailed description. capella melody trainer is a personal trainer for singers and instrumentalists. Melody trainer shows you how accurate your singing or playing is against the score. You can use any capella or MIDI scores. Click here for details. capella playAlong converts capella, MusicXML and MIDI to MP3 format or writes the scores to audio CDs. With either of these methods you can let others hear your work, and provide tailored accompaniments to practise alongside. The software written by muscians for musicians is very simple to use. Click here for a detailed description. tonica fugata is a unique and fun composition aid. It can be used in three ways. 1. Enter a melody and tonica fugata will compose a muscal and technically correct three or four part harmonization. 2. 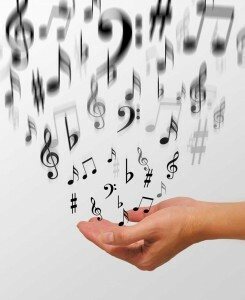 Enter the melody for a musical theme and tonica fugata will produce a full length canon or fugue. 3. Ask tonica fugata for an analysis of all the harmonies in an existing work. See technical errors before others do! Click here for a detailed description. Searching this site. There is a Search button in the right column and if you cannot see the item on a retrieved page try Control+F, a search window should appear in the header or footer of your browser window. capella 8 and capella melody trainer are available in Windows and Mac versions. All other software is Windows only.